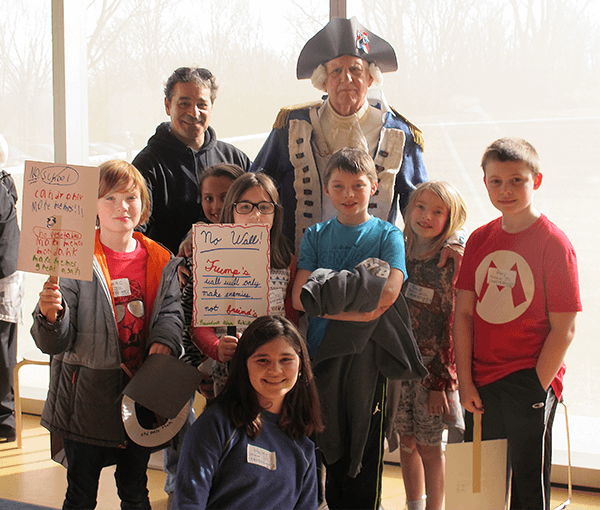 (CLEVELAND, OH) February 6, 2019 – The Maltz Museum of Jewish Heritage opens its doors at no-cost for Presidents’ Day, with crafts and activities, exhibition tours, and a chance to “Meet the Presidents.” The FREE event will be held on Monday, February 18, 2019 from 11AM to 5PM, with special presentation “Meet the Presidents” from 1PM to 2PM, followed by photo opportunities with the presidents, at the Museum (2929 Richmond Road in Beachwood, OH; Registrations encouraged: 216-593-0575 or www.maltzmuseum.org). “It’s a great family day celebration, a way to live history by meeting the presidents,” said Victor Goodman, President of the Friends of the Maltz Museum. From 1PM to 2PM, guests can travel through the Museum’s gallery space to hear a special presentation from presidents like George Washington, Abraham Lincoln, Theodore Roosevelt, FDR, and more, followed by an opportunity to take photos with the presidents and for children to enjoy a kosher cookie. The Museum’s core exhibition, “An American Story,” invites visitors to step into a world filled with inspiring and moving stories of Jewish immigrants — perhaps even their own ancestors — and modern-day heroes. By incorporating computer interactives, film, special effects, individual stories and oral histories, the Museum’s dramatic core exhibition is an uplifting and moving experience. “Israel: Then & Now,” the Museum’s current special exhibition on view now through May 12, tells the story of a people with no home rejected across the globe for religious beliefs finding hope as they return to a land they can make their own, and features artifacts, photographs, and interactive displays, including opportunity to leave a hand-written note that will be taken to Israel’s Western Wall. For more information on these and other Maltz Museum events and exhibitions, call 216.593.0575 or visit www.maltzmuseum.org.